14 companies, 12 months, 1 result. We used a sampling of 14 client companies, each of whom published the same quantity of blog posts over the 12-month period measured. Each one also received the same level of inbound marketing services. 7 companies used HubSpot, 7 did not. Both groups included B2B and B2C companies across a diverse range of industries, all of which fall into the small business classification. Our Founder and President, Rick Kranz, started OverGo Studio specifically as an inbound marketing agency. That’s always been the focus of our entire marketing team. We love building marketing campaigns that grow your business. OverGo Studio has been formally recognized for executing inbound marketing services to the highest standards. 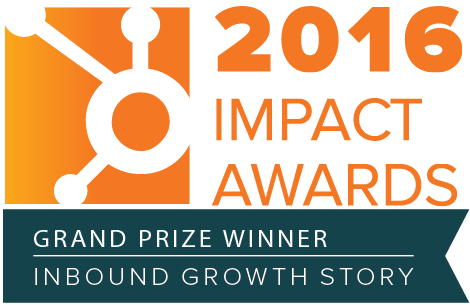 Because of our client's success we are the HubSpot Impact Awards 2016 Grand Prize Winner.